The GHOOK consists of a handle with an inserted rolling wheel and a safety latch. Additionally, a tow rope can be adjusted for even easier handling. 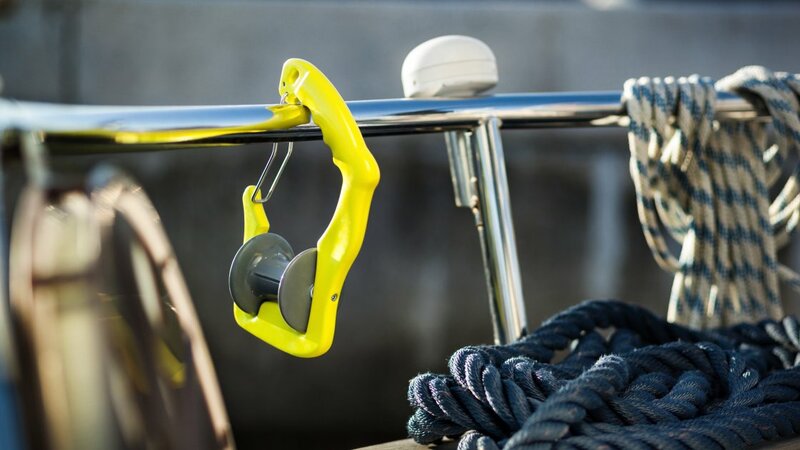 Due to its simple use it could be used by different crew members on different type of boats. 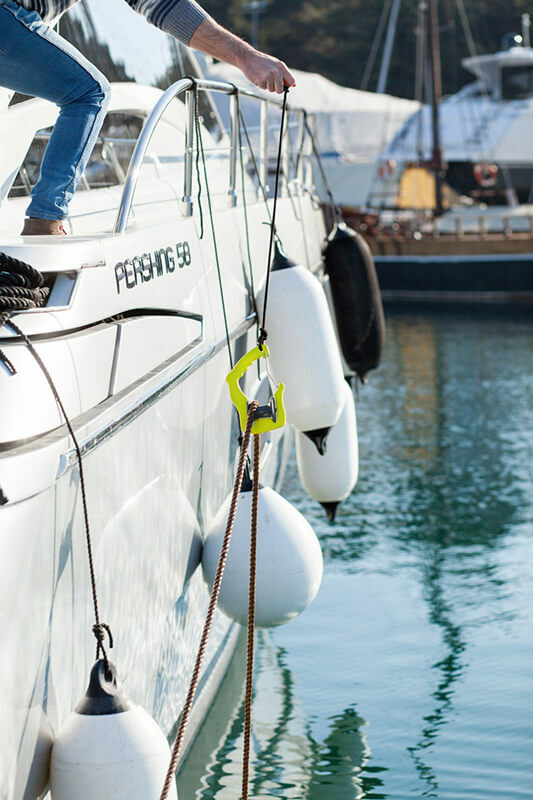 With a connected tow rope, the mooring line can be transferred at a lower position, under the boat gunwale without any fear of it touching the boat’s fenders. Mud and shells attached to the mooring line will fall into the water instead of onto the deck. 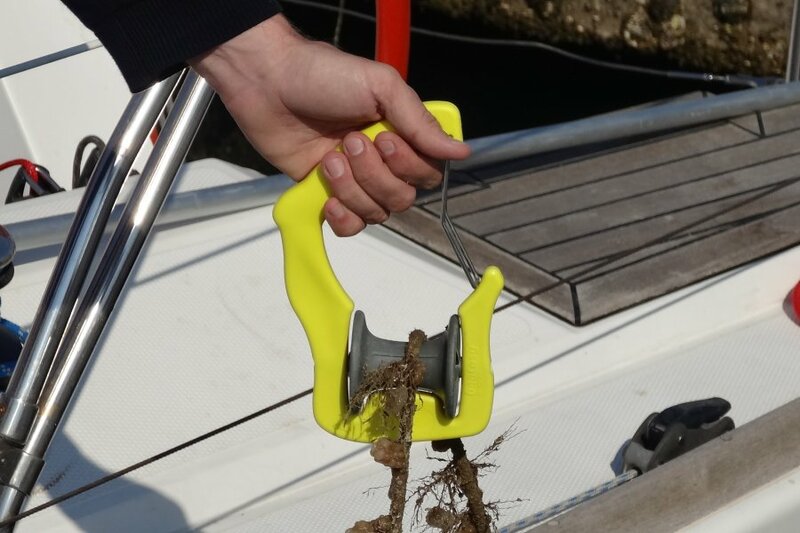 It also protects the crew’s hands and provides a much smoother and speedy mooring experience. 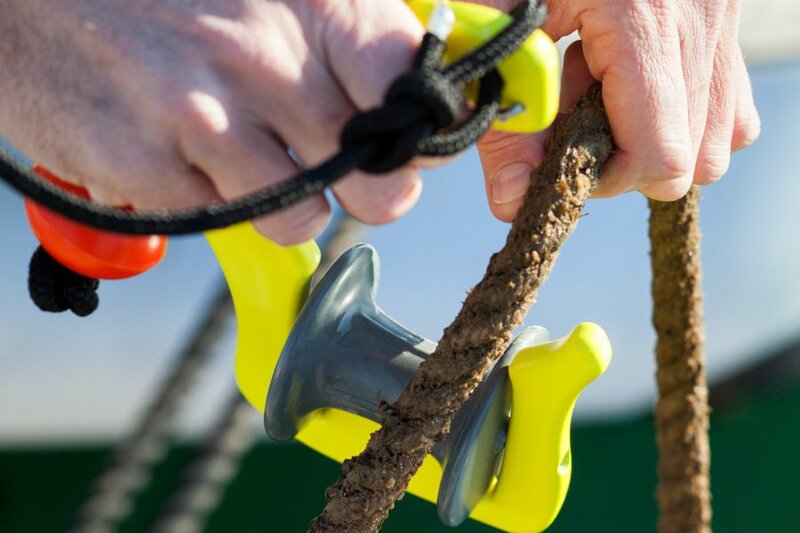 The mooring speed is particularly crucial in the case of windy conditions, which can cause drifting, possible collisions, hand injuries – or at the very least – a lot of stress. For that reason the GHOOK design is now providing the optimal speed and strength performance. Special attention went into minimizing the friction caused by overgrown ropes. Algae and shells do not present an obstacle to it. Compared to the traditional mooring it accelerates the mooring process by up to 3 times. The shape and material are designed to provide maximum performance. It was purposely produced from plastic to prevent any form of damage to the hull during use. The rotating wheel is suitable for mooring lines of any size as well as mooring lines that have become heavily overgrown. 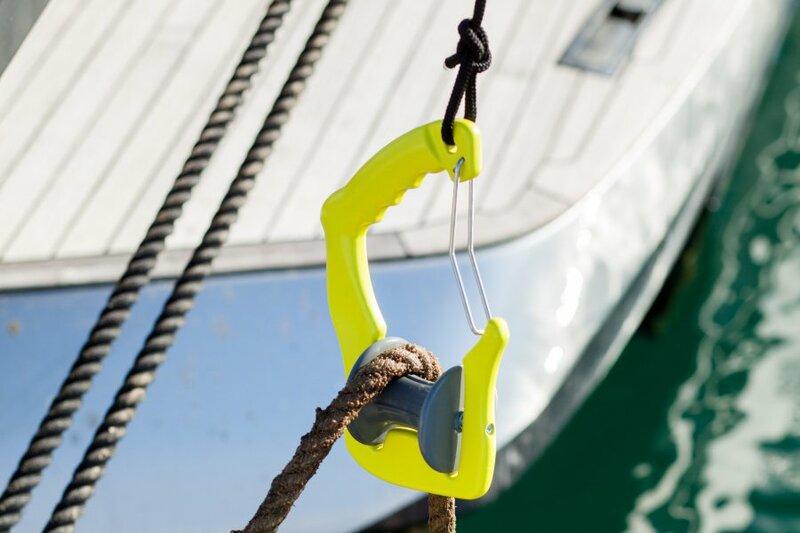 Safety latch prevents the mooring line from slipping out of it during its transfer. Ergonomic handle provides the best grip possible allowing you to use it with one hand only. Opening allows you to tie on a rope extension to enhance its performance. You can use the GHOOK by directly holding onto its ergonomic handle. Using it without a rope extension is only suitable for smaller vessels. 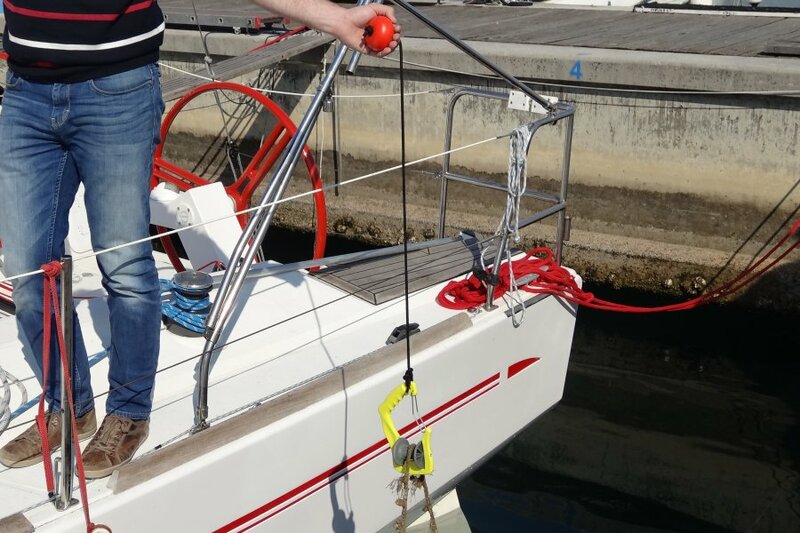 You can tie a rope extension to the GHOOK and enable the transfer of a mooring line under the gunwale while also avoiding fenders. You can use the GHOOK even when nobody can assist you. Just set a rope along the vessel through a swivel at the bow and tie it to GHOOK. 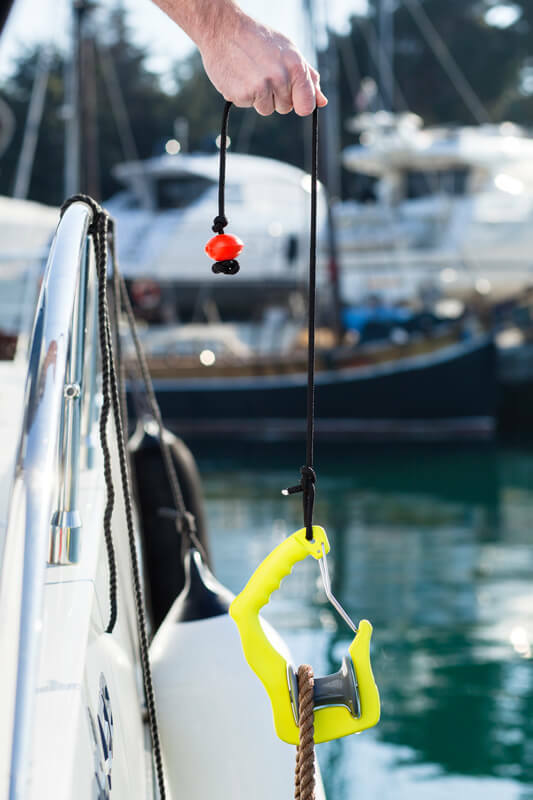 You can use GHOOK together with HOOKLINKER on telescopic boat hook or without it. Pick the lazy line and place on the rotating wheel. If you have GHOOK connected to Hooklinker after picked the lazy line, you should first disconnect it from the Hooklinker once you have it on the arm distance. 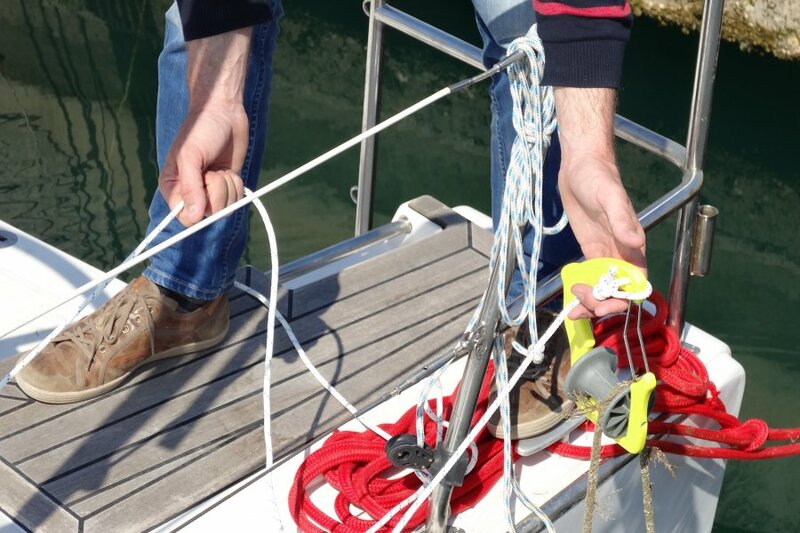 After that you should pull the GHOOK in the direction of the mooring cleat while holding the ergonomic handle or tied rope extension.